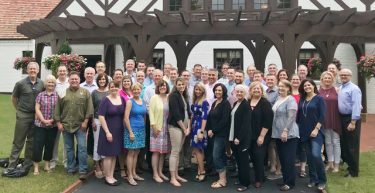 We—NC Family and you—are part of an incredibly vibrant and powerful national alliance made up of 40 state-based Family Policy Councils (FPCs) and a host of national allies stretching across this nation and ultimately impacting the world for Christ! Recently, I had the pleasure and privilege of attending our annual FPC conference, which was co-hosted by Family Policy Alliance and Focus on the Family at the beautiful WinShape Retreat in Mt. Berry, Georgia. Spending several days with FPC colleagues from Alaska to Hawaii to Maine to Florida and all points in between, reaffirmed once again for me that we serve an incredible God and that He has placed an amazing group of warriors, prophets, and humble servants to lead our efforts to bring the life-saving and Truth-affirming message and principles of Jesus Christ into the public policy arena of our states, nation and world. These FPC leaders truly are modern–day heroes. Anyone who believes that God has either removed His hand of grace and mercy from our nation or that He has no interest in the affairs of mankind, is sorely mistaken. As we discussed the value of human life, religious liberty, human sexuality, and the inherent dignity of all people, it again became abundantly clear that true life—the abundant life described in the Scriptures—can only be found in a personal relationship with Jesus Christ and a complete surrender to His Truth and lordship in our lives. Anything short of this inevitably results in chaos and calamity. Accordingly, as we elect leaders who honor Biblical principles and who enact these principles into law and policy, we are better able to live the “peaceful and quiet lives” spoken about in 1 Timothy, Chapter 2. This is as true in North Carolina as it is in Delaware, Washington, Minnesota and New York. It is as true in the United States of America as it is in Zimbabwe, Egypt, Hungary and China. God’s Truth is never changing and eternal, and it applies to every human being on the face of the planet. This is what our Family Policy Alliance is all about, and this is why we are so pleased and honored that you are a partner with us in this work. As we seek to influence North Carolina for Christ, and our colleagues do the same in their respective states, I pray and believe with my whole heart that God will be glorified, and that He will honor our efforts and bless our states, our nation and our world.